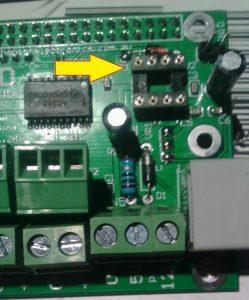 I found a problem with some of the rPi-28D boards. 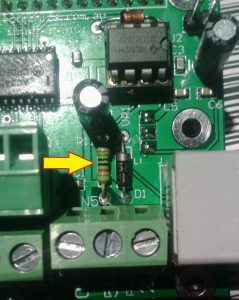 At some stage some 1ohm resistors ended up in the 120ohm tray and some of the boards have the wrong component in them. This only affects the DMX output. The correct resistor is a 120ohm which has the brown, red, black, black and brown as the bands. The incorrect resistor has brown, black, black, sliver and brown bands. 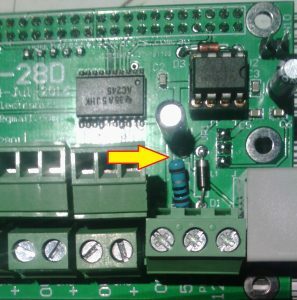 It’s possible that all of the wrong value resistors will have a light blue body. 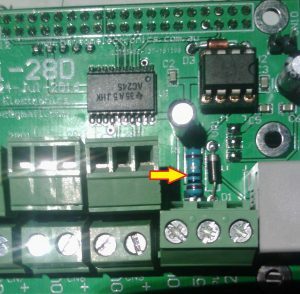 The correct resistor could have blue, grey or a green body. I use 0.5W or 0.6W 1% metal film resistors. 5% 0.25W carbon resistors will do the job fine. 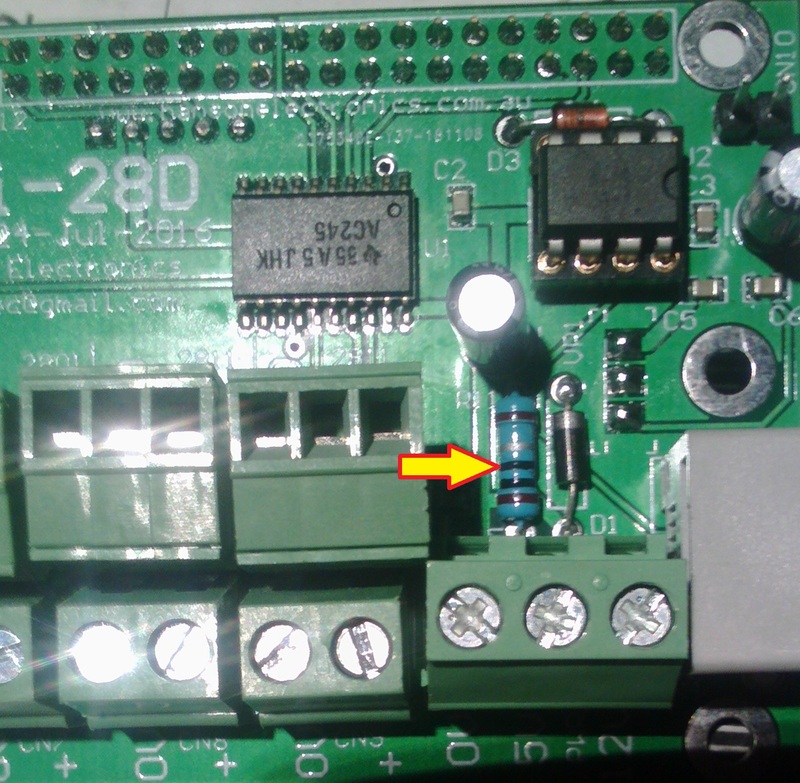 The resistor can be replaced, 1 end of the resistor snipped with sidecutters and lifted or if the DMX output isn’t used the the RS485 IC can be removed. If anyone wants the resistor swapped then return it to me and I’ll swap it out. The replacement of the resistor isn’t super easy for novices and is complicated by the fact that the end closest to the middle of the pcb has the end of the lead covered by the regulator that mounts under the pcb. The rPi-28D will work fine without the 120ohm termination resistor unless long cable runs are used. Over a few hundred metres at a guess.